When booking a cruise of between five and sixteen nights sailing on or after October 1, 2015 guests booking before July 31, 2015 can benefit from up to four cruise enhancing extras for free. Cruises on board Pride of America, sailing Hawaii year-round, and Norwegian Sky, sailing year-round from Miami to the Bahamas, are excluded from this offer. Guests booking an Oceanview Stateroom, Balcony Stateroom or a Mini Suite can choose one complimentary offer, applicable to the first two guests in the stateroom, to enhance their Freestyle Cruising experience. Speciality Restaurant Package. Guests can experience a different speciality restaurant every night of their holiday, along with the great variety of dining options already included in the cruise fare. Options include French cuisine at Le Bistro, Brazilian Churrasco at Moderno or delicious Asian cuisine being prepared and cooked before the guests%u2019 eyes at Teppanyaki and more. Premium Drinks Package. Guests can enjoy their favourite wine, beer, cocktails and also a wide selection of premium spirits for as long as they sail in all restaurants and up to 22 bars and lounges. There s a venue to match every mood from ambient champagne and piano bars to lively cocktail bars and night clubs. 250-Minute Wi-Fi Package. Guests can share their experiences with friends and family back home when they choose this 250-minute internet package (applies per stateroom). Shore excursion credit. Guests can receive a shore excursion credit of 75 US Dollar per stateroom and port of call for a maximum of four ports which they can use to discover and explore ashore with the exciting and varied shore excursions offered by Norwegian. Guests cruising in a luxury Suite or accommodation in The Haven by Norwegian will benefit from all four offers. Guests booking an Inside Stateroom or a Studio can now also choose one complimentary offer, applicable to the first two guests in the stateroom. Speciality dining credit. Guests receive a credit of 50 US Dollar which they can use to enjoy the international cuisine of Norwegians fantastic array of speciality restaurants. Soda package. Guests can enjoy unlimited soft drinks in all restaurants and bars on board such as Pepsi Cola, Pepsi Light, Sierra Mist, Mountain Dew, Ginger Ale, Tonic Water and Soda Water. 100-Minute Wi-Fi Package. Guests can share their experiences with friends and family back home when they choose this 100-minute internet package (applies per stateroom). Shore excursion credit. 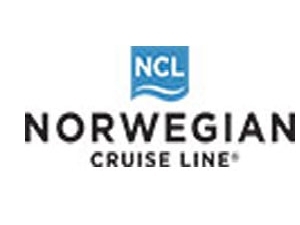 Guests can receive a shore excursion credit of 50 dollar per stateroom and port of call for a maximum of four ports which they can use to discover and explore ashore with the exciting and varied shore excursions offered by Norwegian.